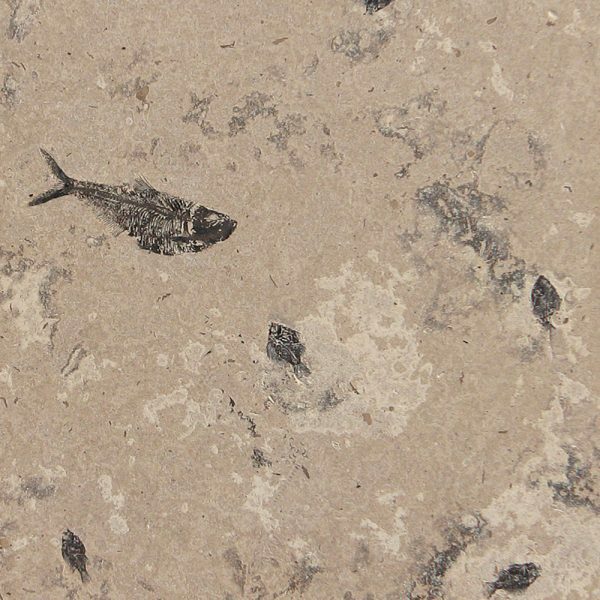 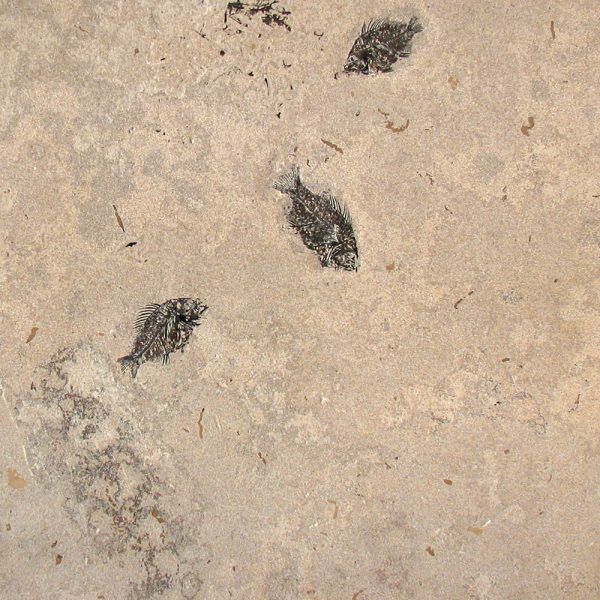 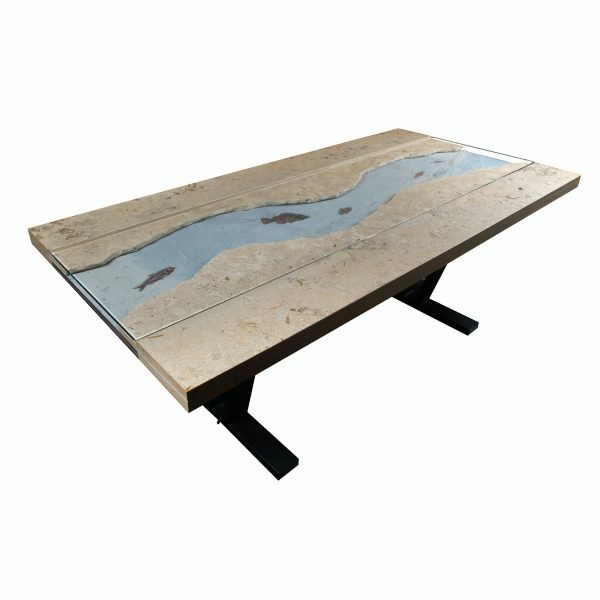 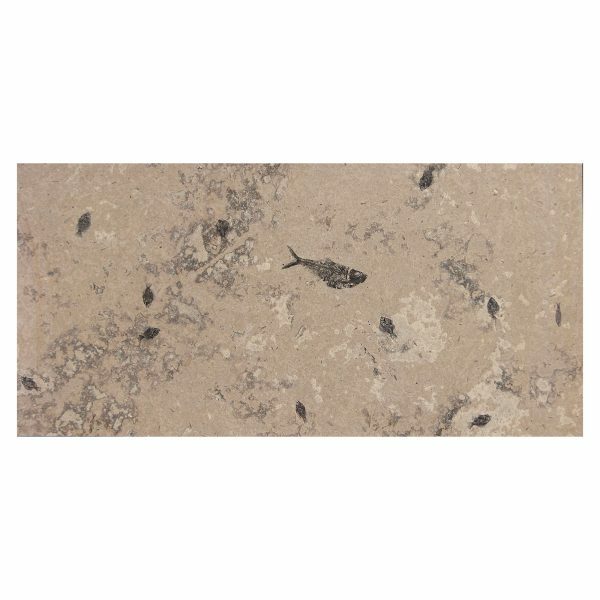 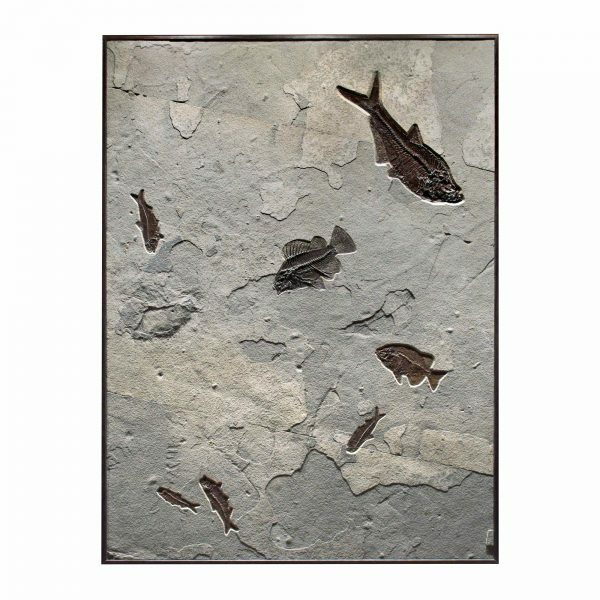 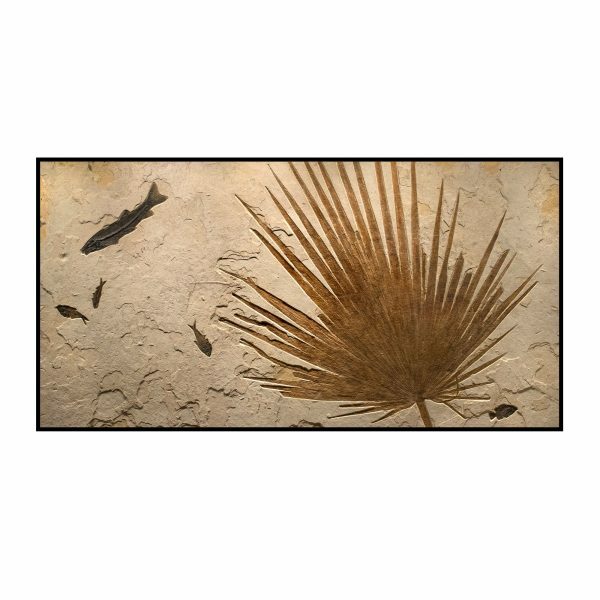 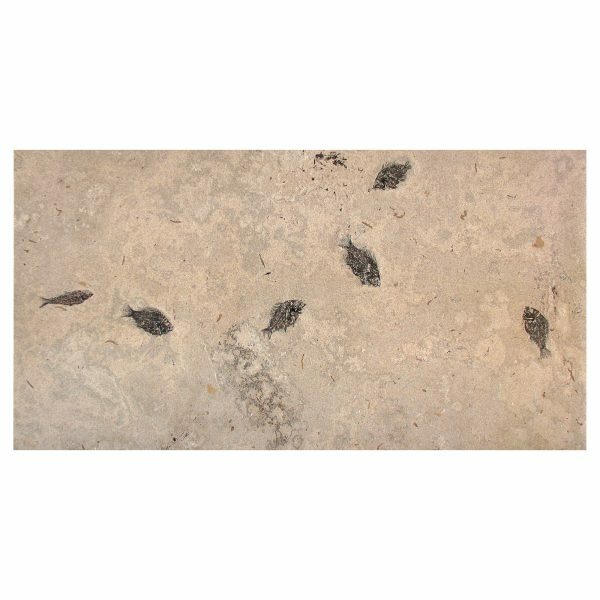 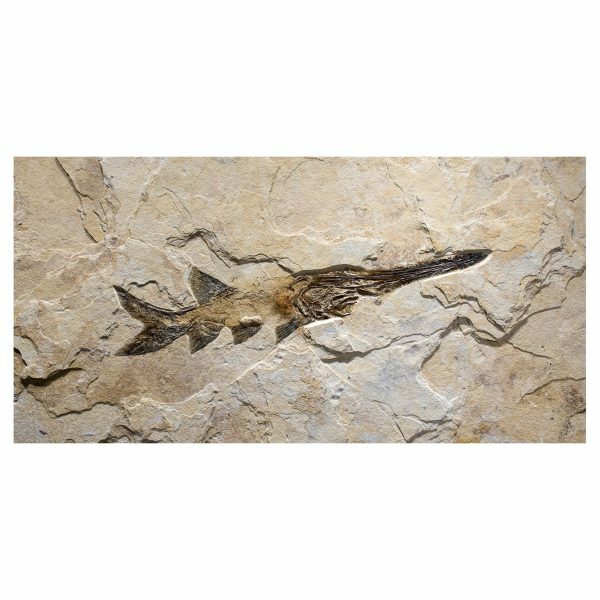 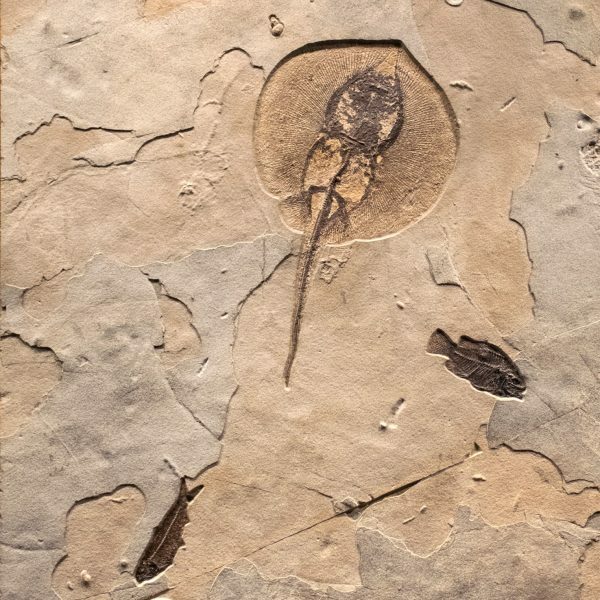 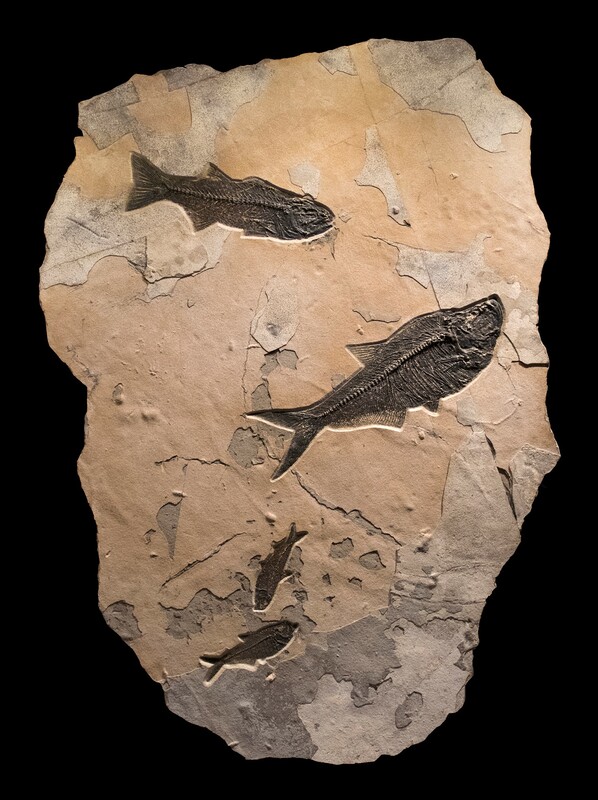 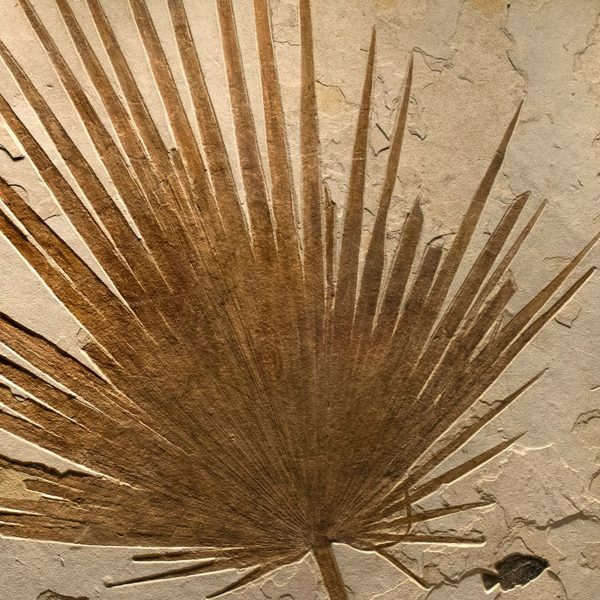 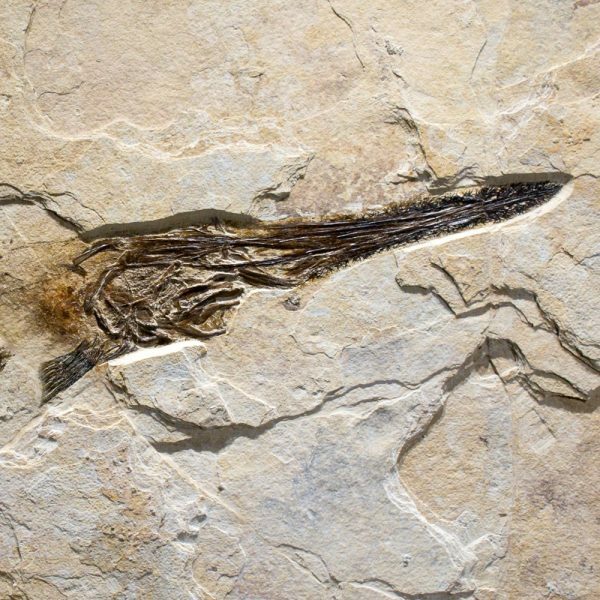 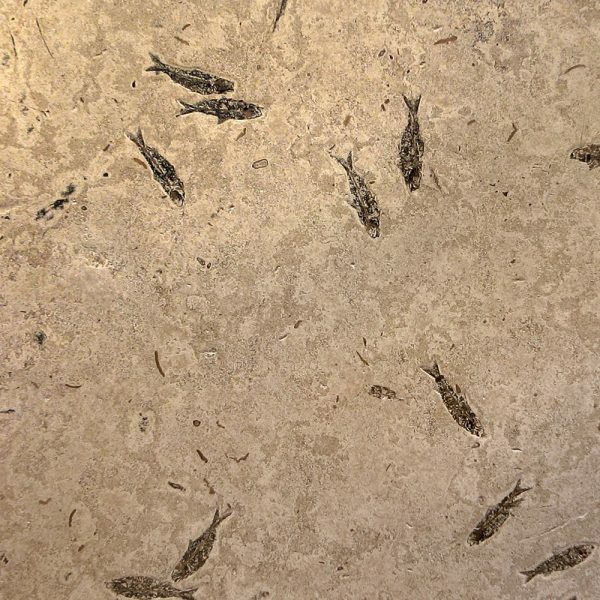 Fossil Mural #Q110622001CM – Quarried from Mosaic Lake I stone, this mural contains a 14.25Ó Mioplosus, a 18.5Ó and 7Ó Diplomystus and 6.5″ Knightia. 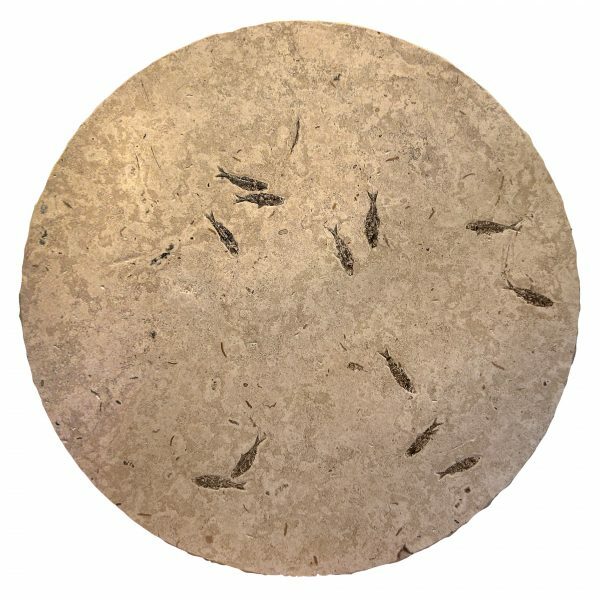 Size: Irregular Shaped 48ÓH x 34ÓW x 1.25ÓD. 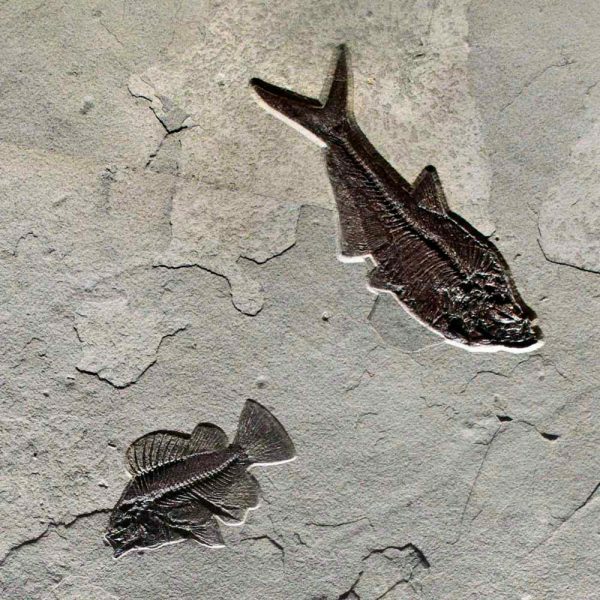 Weight: 79 lb.